The snowmobile poker derby is a big part of Beaver Days each year, bringing out sledders from all over the province. This year was no exception. The parking lot at the Whiteshell Community Club was packed on Saturday afternoon as sledders returned to turn in their poker hands and check out the other events happening at the community club. This year’s poker route started at the Whiteshell Community Club and then went to the Mud Lake shelter, to Pittman’s on 44 Restaurant & Lounge, to the Zubek shelter, and then back to the community club. Congratulations to Trevor Proceviat on winning first place! 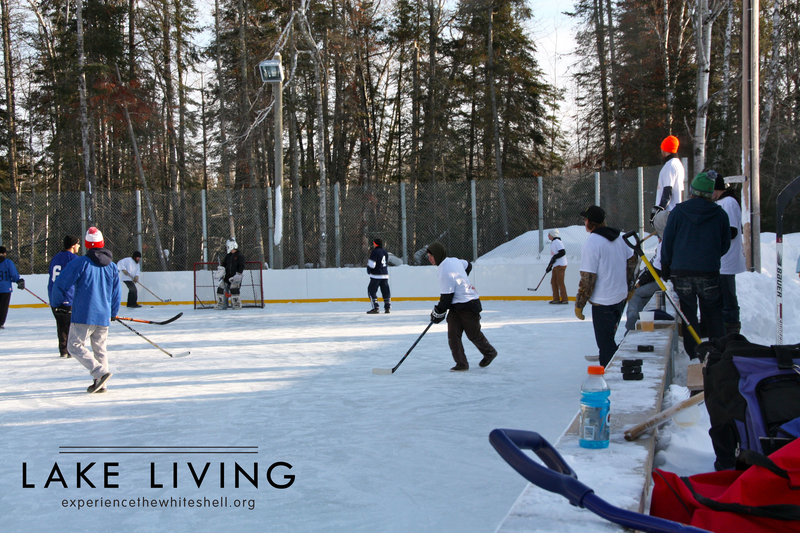 The Whiteshell Community Club was packed with sledders on Saturday afternoon. 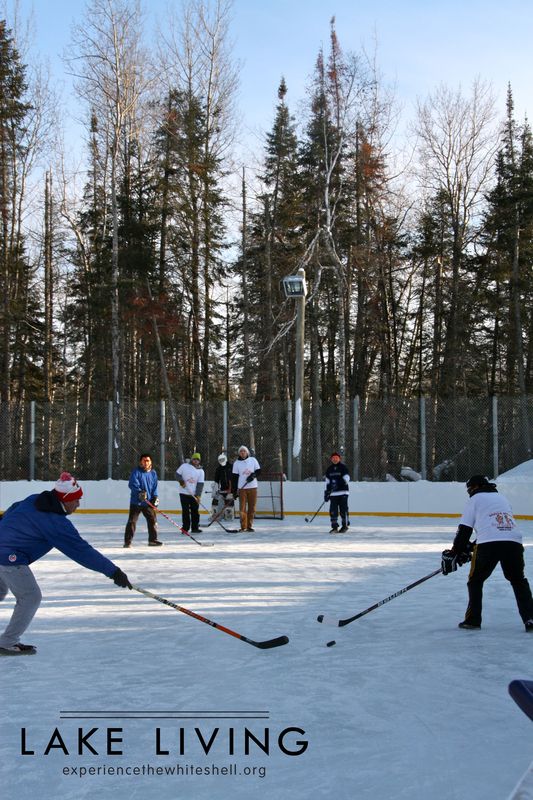 This year’s sponge hockey tournament had six registered teams playing all day Saturday and Sunday. This year the wood carving display was located right next to the hockey rink. This year’s champions were the Six Bros, the runner-up team was The Blizzard, and Team OV won the c-side. 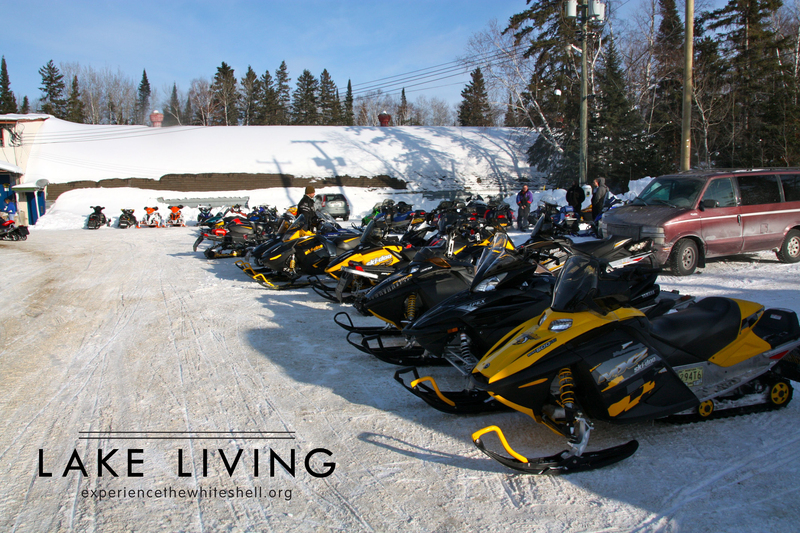 Falcon and West Hawk were absolutely packed with snowmobilers this weekend, who were out enjoying the trails and the powder on the lakes. And if you didn’t own a sled – no problem. Enns Brothers and Winnipeg Sport & Leisure were there to take you for a ride. Both businesses were setup in the Falcon townsite offering guided demo rides. All day Saturday a steady flow of people came to test drive new 2014 Ski-Doo and Yamaha sleds to Mud Lake and back. Winnipeg Sport & Leisure demo display. If you missed out on Beaver Days this year, be sure to check it out next February. A big thanks to all of the local businesses that organize and support Beaver Days events every year! This entry was tagged Beaver Days, Enns Brothers, experience the whiteshell, Falcon Lake, Poker Derby, Ski-Doo, Snowmobile, Sponge Hockey, West Hawk Lake, Whiteshell Provinical Park, Winnipeg Sport & Leisure, Yamaha. Bookmark the permalink.